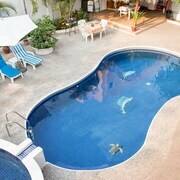 Located in Centro, this hotel is steps from Municipal Market and Zihuatanejo Bay. La Ropa Beach and La Madera Beach are also within 1 mi (2 km). 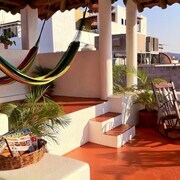 Located in Centro, this hostal is steps from Fisherman's Walk and Zihuatanejo Bay. 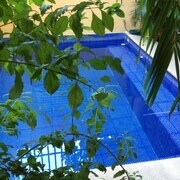 La Ropa Beach and La Madera Beach are also within 1 mi (2 km). 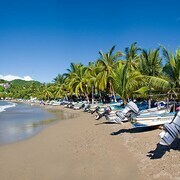 Located in Almacen, this hotel is steps from Playa Contramar and Zihuatanejo Bay. La Ropa Beach and La Madera Beach are also within 2 mi (3 km). 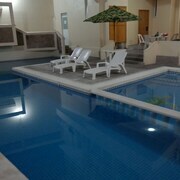 Looking for a great place close to the beach? This is it! In the heart of the city and a block away from the beach. The staff is friendly and willing to help. 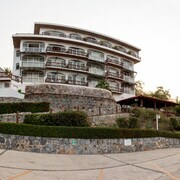 Incredible staff - especially Miguel at the front desk and Blanquita & Aldo in the restaurant. 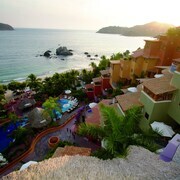 The views of Playa le Ropa are vastly beautiful. Just a short bus ride to the center of Zihua. If you are looking for a great location, don't want to spend a lot of money and don't need a lot of amenities, this hotel offers the best value. 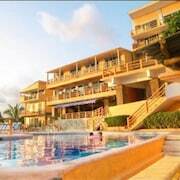 If you prefer all-inclusive resorts or four-star hotels this is not the hotel for you. The beds are acceptable but be warned the regular rooms are small and a bit musty so go for the upgrade. 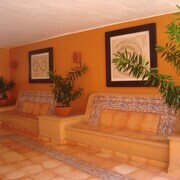 The upgraded rooms are bright & airy and have individual balconies or patios. The regular rooms have shared kitchenettes while the upgraded rooms have kichenettes in the room. 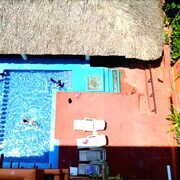 The pool overlooks the beach and there are stairs from the hotel directly to the beach. There is an open air restaurant in the sister hotel across the street which offers a spectacular view. The hotel sits on the end of the beach closest to Playa de la Ropa, The other beaches are within walking distance if you're willing to do a little hiking. There are a lot of little things that could be done to make this hotel a lot cozier and comfortable but the friendly staff, the location, and the price make this a perfect value.